The volume is divided into three parts. 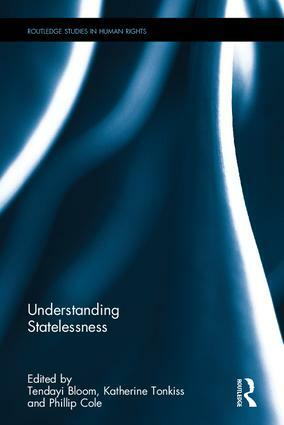 The first, ‘Defining Statelessness’, features chapters exploring conceptual issues in the definition of statelessness. The second, ‘Living Statelessness’, uses case studies of statelessness contexts from States across global regions to explore the diversity of contemporary lived realities of statelessness and to interrogate standard theoretical presentations. ‘Theorising Statelessness’, the final part, approaches the theorisation of statelessness from a variety of theoretical perspectives, building upon the earlier sections. All the chapters come together to suggest a rethinking of how we approach statelessness. They raise questions and seek answers with a view to contributing to the development of a theoretical approach which can support more just policy development. Throughout the volume, readers are encouraged to connect theoretical concepts, real-world accounts and challenging analyses. The result is a rich and cohesive volume which acts as both a state-of-the-art statement on statelessness research and a call to action for future work in the field. It will be of great interest to graduates and scholars of political theory, human rights, law and international development, as well as those looking for new approaches to thinking about statelessness. Chapter 12: Why End Statelessness? Tendayi Bloom is a Lecturer in Politics and International Studies at the Open University, UK. Phillip Cole is Senior Lecturer in Politics and International Relations at the University of West of England, UK. Katherine Tonkiss is a Lecturer in Sociology and Policy at Aston University, UK. The Routledge Human Rights series publishes high quality and cross-disciplinary scholarship on topics of key importance in human rights today. In a world where human rights are both celebrated and contested, this series is committed to create stronger links between disciplines and explore new methodological and theoretical approaches in human rights research. Aimed towards both scholars and human rights professionals, the series strives to provide both critical analysis and policy-oriented research in an accessible form. The series welcomes work on specific human rights issues as well as on cross-cutting themes and institutional perspectives.